The Bergen County Audubon Society this week awarded the NJSEA with two grants totaling $3,500 to fund plantings at the Lyndhurst Nature Reserve in DeKorte Park. 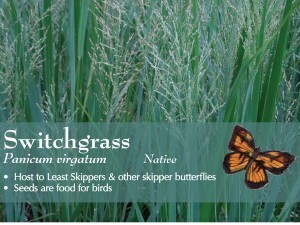 The grants will supplement existing plantings by adding new species to increase foraging, cover, and nesting for a variety of songbirds, and to provide nectar and larvae plants for butterflies. Site preparation work will begin this fall, with planting scheduled for spring. 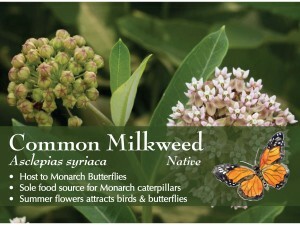 Approximately 2,000 plugs of native grasses and herbaceous perennials (Switchgrass, Common Milkweed, Butterfly Weed, Gray Goldenrod) and 200 native shrubs (Black Chokeberry, Shadblow Serviceberry, Gray Dogwood, Red-twig Dogwood) will be planted. 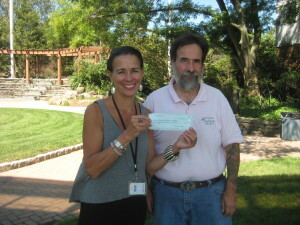 Pictured are NJSEA Supervisor of Park Planning Katy Weidel and Bergen County Audubon Society President Don Torino.